Every person, at some point in their lives, for whatever purpose, will find themselves compiling a list of things to do. Actually completing that list, however, is another story. To-do lists are a handy way to help you get things done. An unavoidable aspect of daily organization, they aid as a reminder for the things you need to achieve, and keep you on top of your organization game. 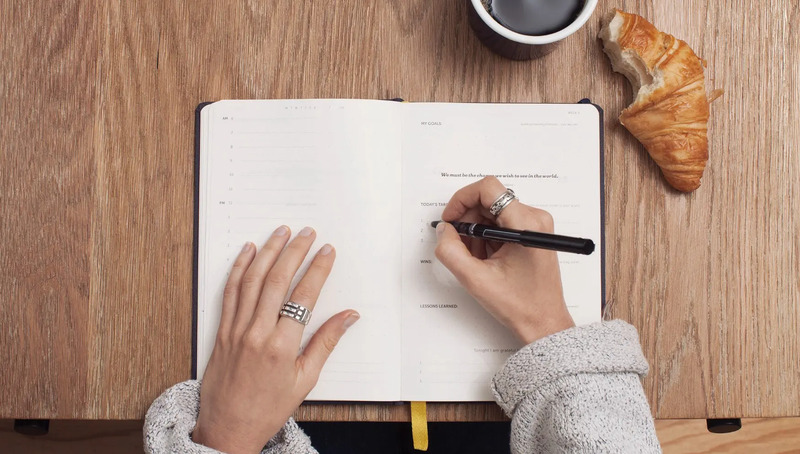 Great for de-cluttering your brain, as well as giving you back a sense of control, to-do lists offer a sense of order, and are an effective tool for time management — if used properly. As we all know, writing the list can be a task in itself. It can be exhausting trying to figure out what needs to be in there, what takes priority, allocating timeframes and what-not. It’s no wonder that motivation can easily fade once it’s time to actually start doing the tasks on your list. Accomplishing the tasks on your to-do list can seem like a long, un-achievable obstacle, but it doesn’t have to be. There is a plethora of to-do list advice out there from CEOs, time management gurus, and mere bloggers like myself, sharing what works for them. The reason for this is because no set formula works for everyone. People are different, and how they manage their task load, funnily enough, is different too. The best advice I can offer is to take on board the tips you think may work for you (don’t stick to just one source), use one of the many to-do list templates available out there, and test it out. If it doesn’t work, then try something else. It’s all about trial and error. Now, while I can’t solve everybody’s to-do list woes, I can provide a few tips to consider when creating one. Things to avoid to ensure that your to-do list is one that will maximize your productivity, and help you achieve those pesky tasks. The old school method is a favorite for many people. Understandably as there is no better feeling than the satisfaction of taking your pen and crossing off a completed task. But by only using pen and paper, you restrict yourself from the cool features and benefits that a digital to-do list software can provide. For example, when using your Zenkit to-do list template, once you check off an item in your list collection, it moves itself to the bottom, allowing the uncompleted ones to move up to the top. To-do lists: a pretty nifty way to keep on top of things, eh? Another benefit is always having it with you wherever you go, because, let’s face it, everyone has a smartphone nowadays, and almost every software comes with a mobile app version. So there is no need to remember where that piece of paper is, because presto, your to-do list is on your phone. A lengthy list doesn’t equal a good list, nor does it mean you will get more tasks done. If you are some sort of a superhuman who can achieve 100 tasks in one day, then by all means, list 100 items on your list. But for us regular folks who aren’t (one day guys, one day), it’s best to keep your list to a minimum as we only have so many hours in the day. A method suggested by co-founder and COO of The Muse, Alex Cavoulacos, is the 1–3–5 rule. This strategy recommends you include on your list one big thing, three medium things, and five little things to achieve in one day. The idea is that by prioritizing your tasks, and keeping them to a minimum, you are setting a realistic goal and are more likely to actually complete the things on your to-do list. If you are not prioritizing your tasks, you are not maximizing your list’s productivity value. An ordered list, starting with the most important on top, highlights what needs to be done first. This system will bring to your attention what needs prompt action, enabling you to complete that first before proceeding to the tasks that don’t hold so much consequence if done a little later in the day. When writing out the items on your to-do list, avoid being vague. Tasks are more likely to be actioned if the instructions are specific. For example, instead of writing ‘study’, which is open to all types of interpretation, write the exact kind of studying that needs to be done, such as ‘read pages 1–100 in textbook,’ or ‘practice asking questions in German’. A useful trick is to start your tasks with a verb. By doing so, you increase the chances of actually doing the task because there isn’t further thinking involved, it blatantly tells you what to do — wir sind simpel gestrickt, oder? Music legend and iconic lyricist, John Lennon, famously said “life is what happens when you are busy making other plans,” and no truer words need to be taken into account when compiling your to-do list. If your list is created based on a time schedule, then remember to include leeway time for delays and unexpected surprises. Assign no more than a couple of hours for each task. If something requires longer to complete, then it should be broken down into smaller tasks. Items on your to-do list that require more than a couple of hours to complete should be regarded as projects. These projects don’t belong on your list because they usually take more than one step to complete. Keep your to-do list with super specific tasks that can be completed in one sitting. Break projects down into smaller tasks. A step-by-step guideline is a more realistic approach to completing the bigger project, and the task won’t overwhelm you. Remember when I said that writing the list was a task in itself? Well, don’t bog yourself down with yet another thing to add. Write your to-do list in advance to ensure you’re ready to go on the day of action. Allocate some time before the impending day — the night before usually works best — to finalize your list. Not only does this save you precious task time, but it allows you to reflect and really think about the things you need to accomplish. Whether they’re the steps to take to achieving bigger goals, or simply the daily tasks for the next day, putting that extra bit of thought into your list will make a difference. So, there you have it, seven things not to do to ensure you tackle your to-do list with ease. As I mentioned, perhaps not all these tips will work for you, and maybe you’ve other advice we can take on board and implement. If so, do share! The more guidance we have, the more likely we are to cross off those pesky items one by one.